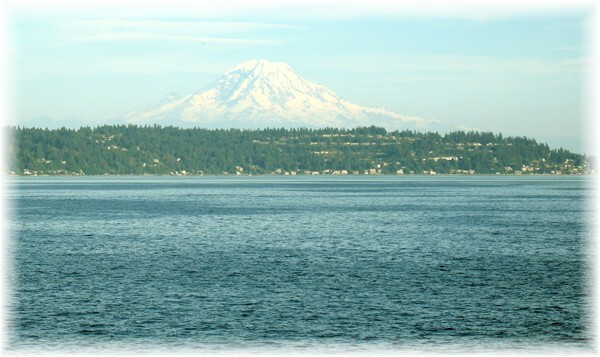 Mount Rainier greeted me as I returned to Seattle from my day on Vashon Island. The entire experience – beginning with an exotic Lavender Mocha and ending with a full on view of this magnificent mountain (not to mention the day spent in lavender fields) was exquisite! The Vashon Island Lavender Harvest Celebration was the reason for my trip across Puget Sound to this lovely island. First stop was at the Vashon Island Coffee Roasterie where I was delighted to find the perfect beverage to begin my excursion. Lavender Mocha, a sumptuous concoction, consists of coffee, dark chocolate cocoa, milk and lavender syrup. I skipped the whipped cream topping, however the barista made sure there was plenty of foam on which she sprinkled just a few fresh lavender buds. 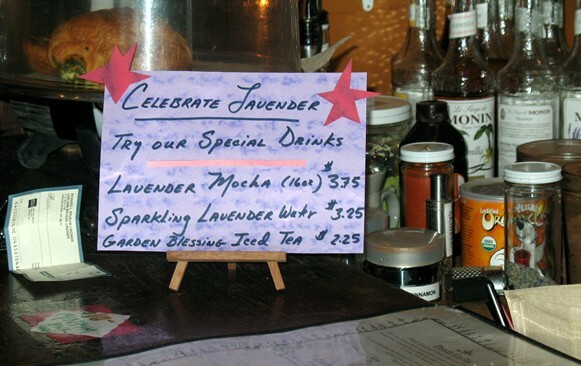 The lavender, although subtle, seemed to make the entire experience fresh and rich.